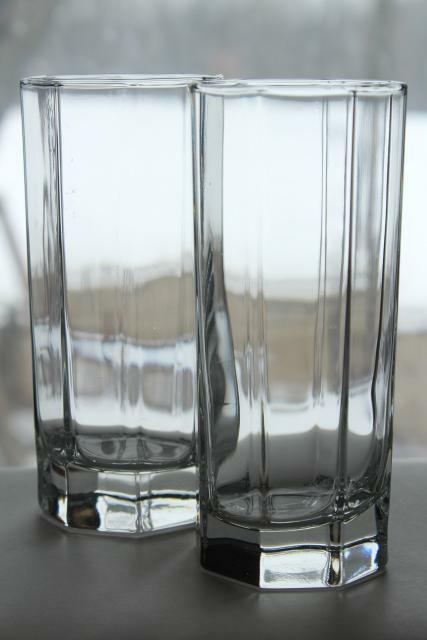 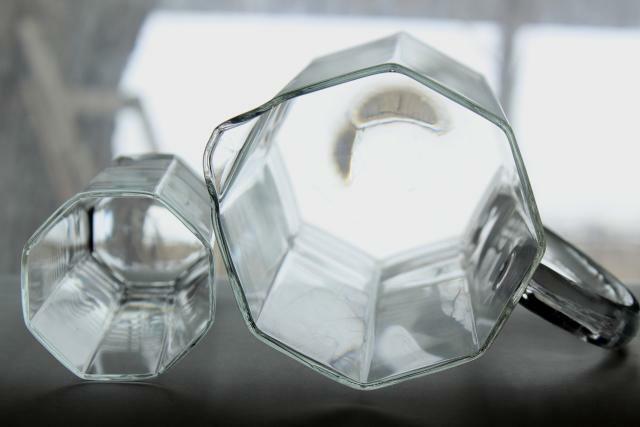 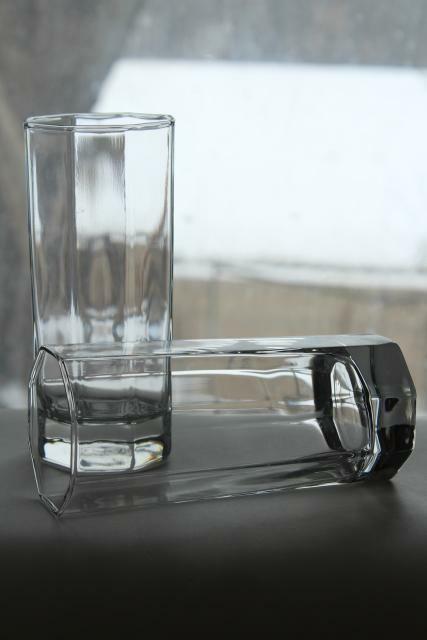 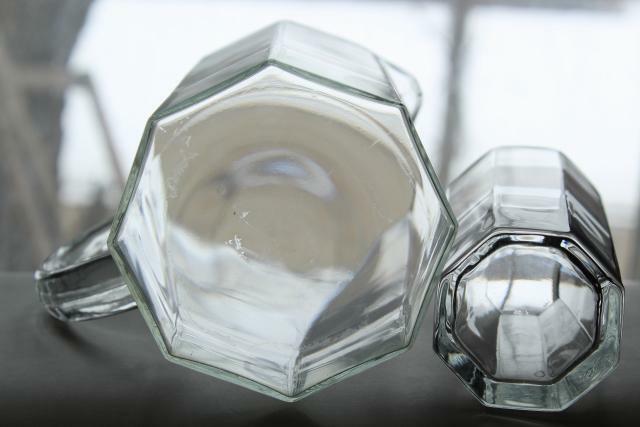 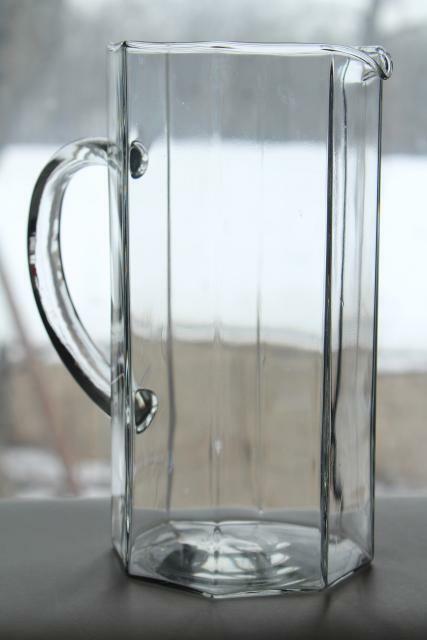 Unmarked French glass pitcher and glass tumblers in the Octime pattern, 1980s vintage. 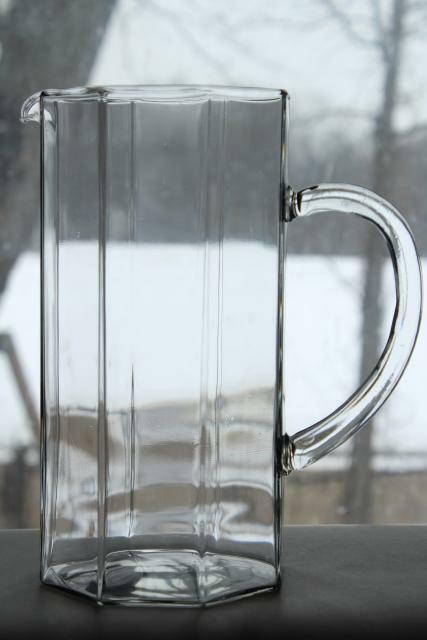 The pitcher is about 7 3/4" tall, and there's six of the drinking glasses, 5 5/8" tall. 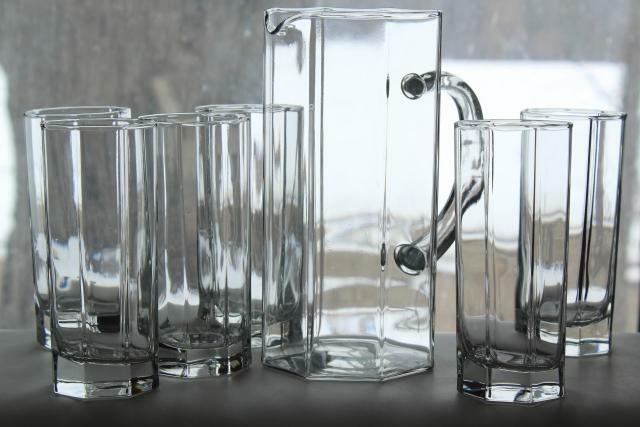 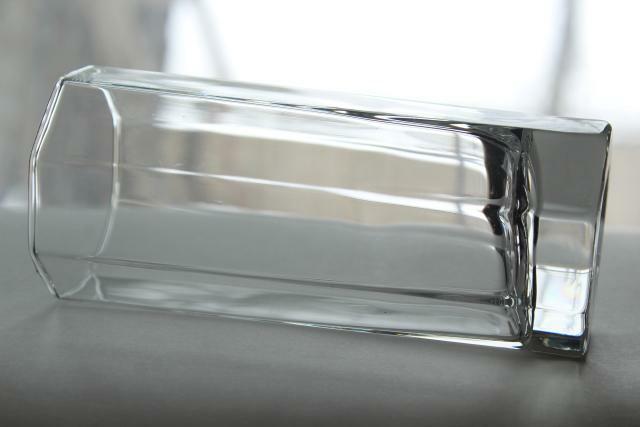 The whole set is in excellent condition without damage or wear, color crystal clear without scratching or dishwasher damage.